Within the past year the VVL's have gotten a lot more popular. 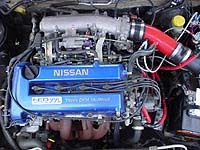 People doing VVL head swaps, which is cool but hearing that someone swapped a GTi-R head for a VE head seems odd to do. If that one guy really through away a VVL head because a couple valves were bent and people knew about it he would probably get beatin up. People are buying motors for that head.